I highly recommend A.D.K by DaVinci Labs! Small size capsule! Great! 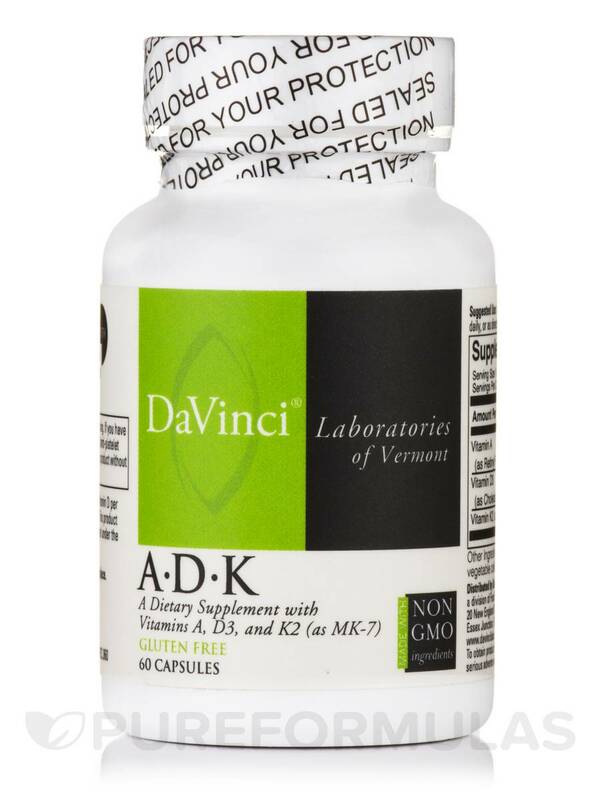 A.D.K by DaVinci Labs has each vitamin I need in the quantity I need it in. My husband likes A.D.K by DaVinci Labs because it seems to help with flagging energy. Made by DaVinci Laboratories‚ A.D.K. is a vitamin that is ideal for people looking for bone and cardiovascular support. A.D.K. is a combination of Vitamins A‚ D3‚ and K2 that supports the health of bones and heart. Vitamin A is an antioxidant that supports the immune functions and helps in bone development. Vitamin A is also often associated with good eyesight and is used to help treat acne. Vitamin D helps the immune system fight viruses and bacteria. Vitamin D may prevent weakening of the bones‚ and aids in controlling cholesterol and blood pressure at normal‚ balanced levels. Vitamin K could help remove scars and bruises when applied topically. 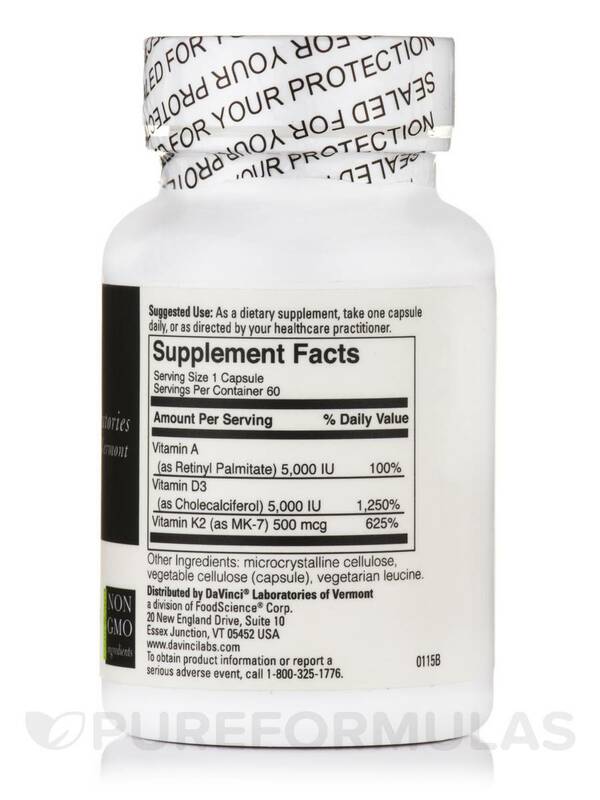 The special vitamin combination in this product has potential benefits for the heart and bones. With proper diet and A.D.K. capsules‚ you can maintain good bones and a healthy heart. 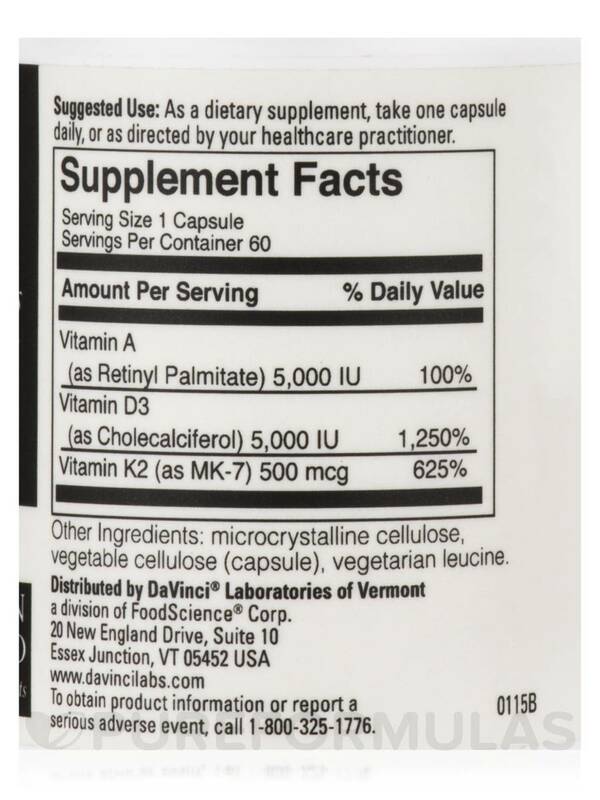 Other Ingredients: microcrystalline cellulose‚ vegetable cellulose (capsule)‚ vegetarian leucine. As a dietary supplement‚ take one capsule daily‚ or as directed by your healthcare practitioner. Do not take this product if pregnant or nursing. 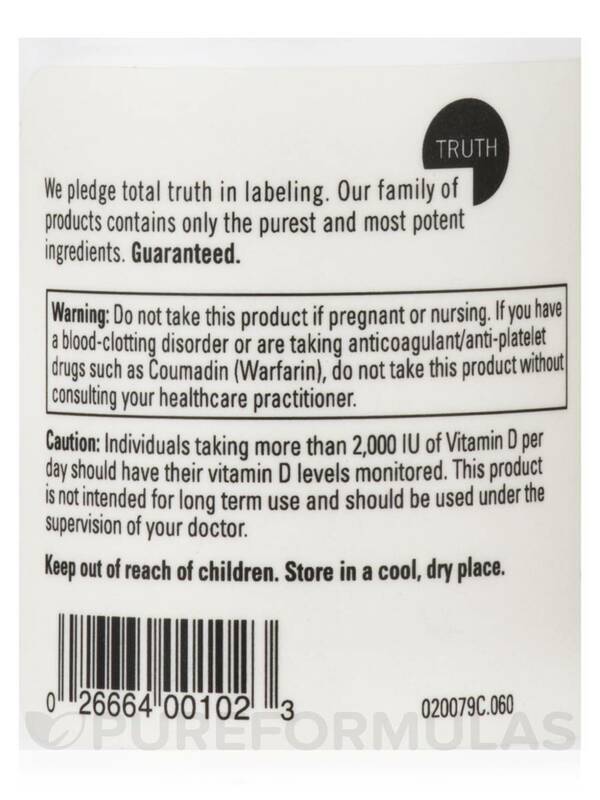 If you have a blood-clotting disorder or are taking anticoagulant/anti-platelet drugs such as Coumadin (Warfarin)‚ do not take this product without consulting your healthcare practitioner. Individuals taking more than 2‚000 IU of Vitamin D per day should have their vitamin D levels monitored. This product is not intended for long term use and should be used under the supervision of your doctor. Easy to take and the cost is not too bad. I'd rather get these vitamins from food. My Favorite Vitamin D Supplement! 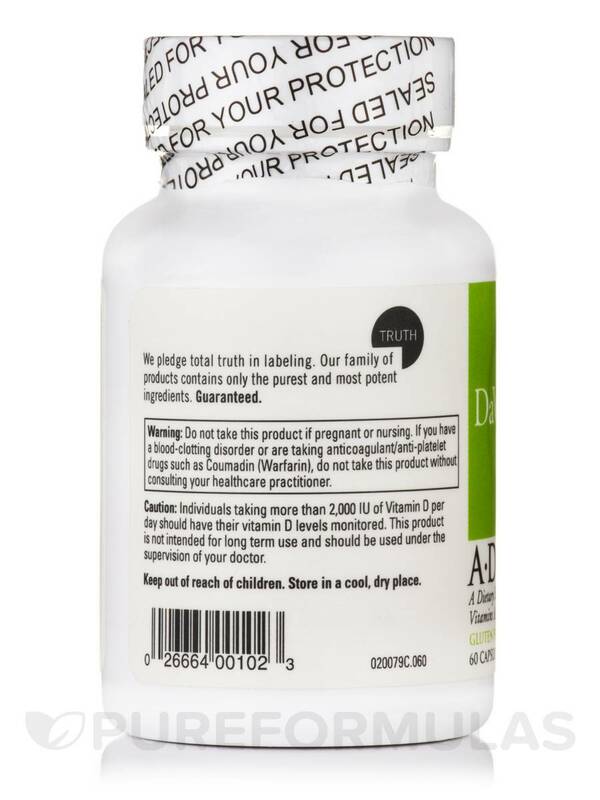 My Vitamin D levels were extremely low and after taking A.D.K by DaVinci Labs for a few months they back in the normal ranges. Small easy to swallow capsule. I know it works from my blood work results. Same ingredients as the product from my doctor much better price.